A new site template named Community Sites offers a forum experience to categorize and cultivate discussions with a broad group of people across organizations within a company. You can deploy a stand-alone community (shown). Or, you can activate community features on any site, which provides the core Community Site pages, moderation, membership, and reputation functionality within the existing site without creating a separate Community Site. Search is better integrated with enterprise infrastructure, based on an entirely new engine that combines the simplicity and great default relevance provided by SharePoint Search with the massive scale and extensibility offered by FAST technology. IT can deploy a scalable search architecture that enables users to search remote data sources, navigate enterprise repositories rapidly, and bring more information within reach through new individual search results that are based on how individuals interact with information in their daily work. Information is at SharePoint score and making that information in a variety of formats leads to broader collaboration and access to improvements in software. SharePoint Server 2013 provides a new PowerPoint Automation Service, which is similar to the current Word Automation Service. The PowerPoint Automation Service can automate conversion of Microsoft PowerPoint presentations to many formats, which promotes a high degree of accessibility, from converting older Office formats to newer Office formats, or to web pages, or PDFs. The Work Management Service provides task aggregation across work management systems, including Microsoft SharePoint, Microsoft Exchange Server, and Microsoft Project Server. For example, users can edit tasks from Exchange Server on a mobile phone, and the Work Management Service aggregates tasks from Exchange Server in the My tasks SharePoint list. SharePoint Server 2013 brings major advancements to workflows: enterprise features such as fully declarative authoring, REST and Service Bus messaging, elastic scalability, and managed service reliability. SharePoint Server 2013 can use a new workflow service built on the Windows Workflow Foundation components of the .NET Framework 4.5. This new service is called Workflow Manager and it is designed to play a central role in the enterprise. Processes are central to any organization and workflow is the orchestrator of processes. 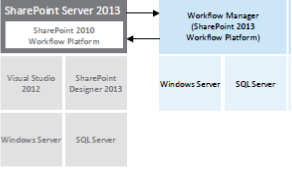 The SharePoint 2010 Workflow platform has been carried forward to SharePoint Server 2013. Workflows that you built by using SharePoint Server 2010 will continue to work in SharePoint Server 2013. The visual upgrade feature in SharePoint Server 2010 is not available in SharePoint 2013. 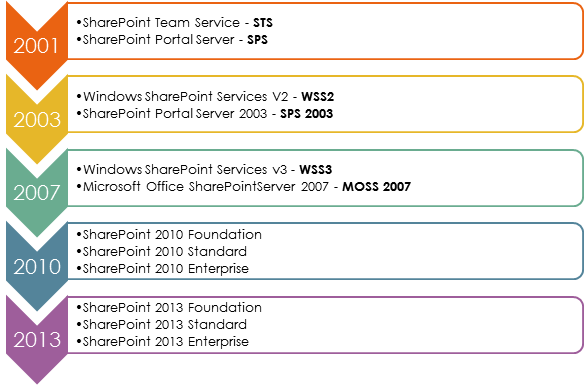 For the upgrade from Office SharePoint Server 2007 to SharePoint Server 2010, you could choose to use the visual upgrade feature to give site collection owners and site owners the opportunity to preserve the previous user interface temporarily while still upgrading the infrastructure and databases, site collections, and features to the latest version. When you create a site in SharePoint 2013, the Document Workspace site template is not available. When you create a site in SharePoint 2013, the Personalization Site template is not available. When you create a site in SharePoint 2013, all five of the Meeting Workspace site templates are not available. This includes the Basic Meeting Workspace, Blank Meeting Workspace, Decision Meeting Workspace, Social Meeting Workspace, and Multipage Meeting Workspace. The Webs.CustomizeCss method applies style sheet customization to a particular file. The Webs.RevertCss method reverts style sheet customization of a file to the default style sheet. These two methods are stored in Webs.asmx.cs and are defined in Webswsdl.asps. The Imaging Web service provides functionality for creating and managing picture libraries. The Imaging Web service will be removed from the next major release of SharePoint. The Imaging Web service is included and supported in SharePoint 2013.